So here’s the thing about Love. It’s scary. It’s risky. But it’s absolutely necessary. It warms our bones and makes us smile those big goofy smiles in the middle of a crowded street in Manhattan. It will test our faith, and then build it back up again. You find reasons to make that person smile and not because it’s “Valentines Day” but because you’re happiest when they’re happy too. There are no rules. No roadmaps for the players involved. But once you’re in it, I mean really in it, the only thing other person that seems to the matter in the world is the one that’s right in front of you. It’s hope. It’s everything. It’s the breath we breathe. If you love this piece, do me a favor and share it with others. Maybe it will make another person smile, as it made me smile painting it. Hey guys! Happy New Years! The 30 in 30 challenge is onnnn and this is my first entry. I painted it last night and refined some bits this morning. I will admit, I felt completely out of my comfort zone painting this. I found that I don’t have much interest in rendering the facial features perfectly. I did use a few reference photos (my muse was Cara Delevingne), but I was more interested in jumping right into the colors and creating a vibrant portrayal of a woman’s face. Interestingly enough, this portrait is pretty androgynous. There were times when I saw a man’s face (someone on Instagram said Steve Tyler! ), and sometimes a woman’s. I decided to name it “Live” because it feels pretty disco to me. Have a good day everyone! Happy painting to my other artist friends in the challenge. P.S. The 30 in 30 painting challenge is not a competition. It’s really about challenging ourselves as artists. Just in case the word “challenge” makes you think of a prize or something at the end. Hah. I created “Fever” and “Lagrimas” last week in response to a set of emotions I was feeling at the time. We all have our days, and sometimes we are so visceral and aware. Life feels more intense in those moments, good or bad. These pieces turned out exactly how I wanted and I didn’t get a chance to hold on to them for that long. 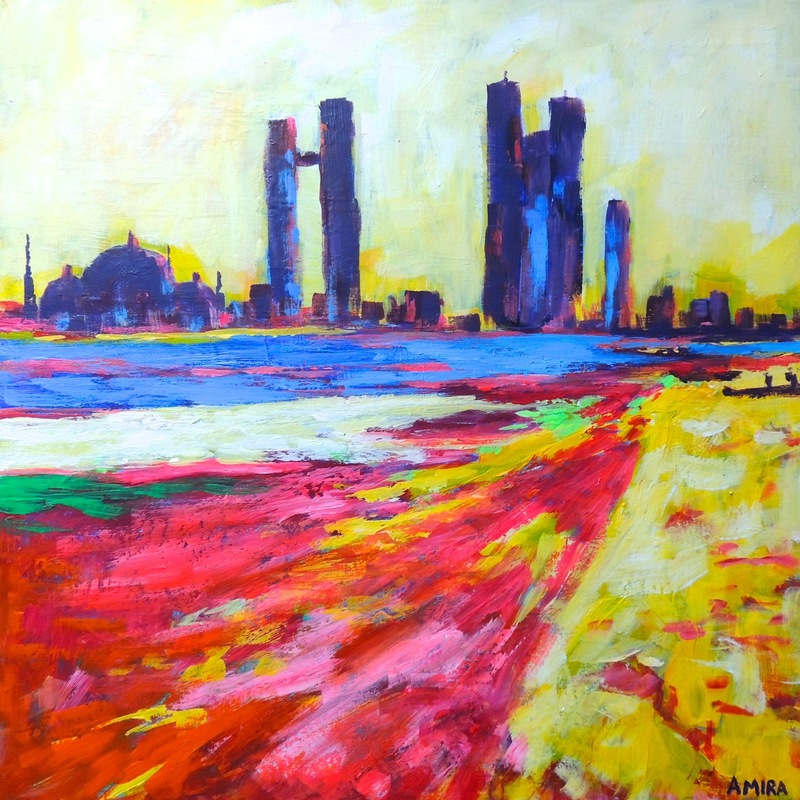 A new resident in Reem Island contacted me after finding my pieces on my Facebook page. She purchased them to be center pieces in her dining room and I am truly flattered. She said that she was looking for art for her home for months and finally settled on mine. What an honor! I love when my art speaks to people and they get excited enough to bring it home. But I’m even more excited when it is my abstract art that people decide to own. I started doing abstract art relatively recently and wasn’t sure how people would respond to it. I created it truly because it made me feel good. I’ve been eyeing palm trees for months now. Maybe because I grew up in New Jersey and used to deciduous trees, or maybe because they remind me of sun and vacation. The intricacies in each tree makes me stare at them forever. I always try to take snaps on my iPhone for inspiration. But this painting was designed purely on my own imagination. I then toyed around with a few color options and then faced my canvas to make this a reality. 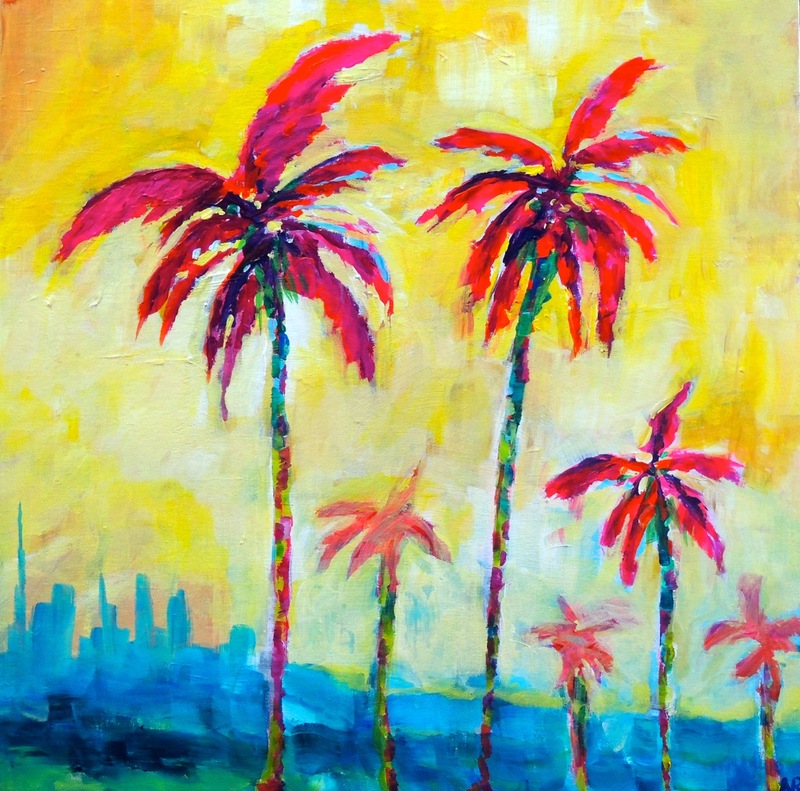 I’ll admit, painting palm trees intimidate me. Not even a little bit, a lot. It seems like a simple easy thing to paint, right? But after observing them for so long, I know they’re anything but simple. The finished result was beautiful, if I do say so myself. I added a Dubai skyline in the foregrounds, and I just love the subtle tonal variations at the bottom of the painting. 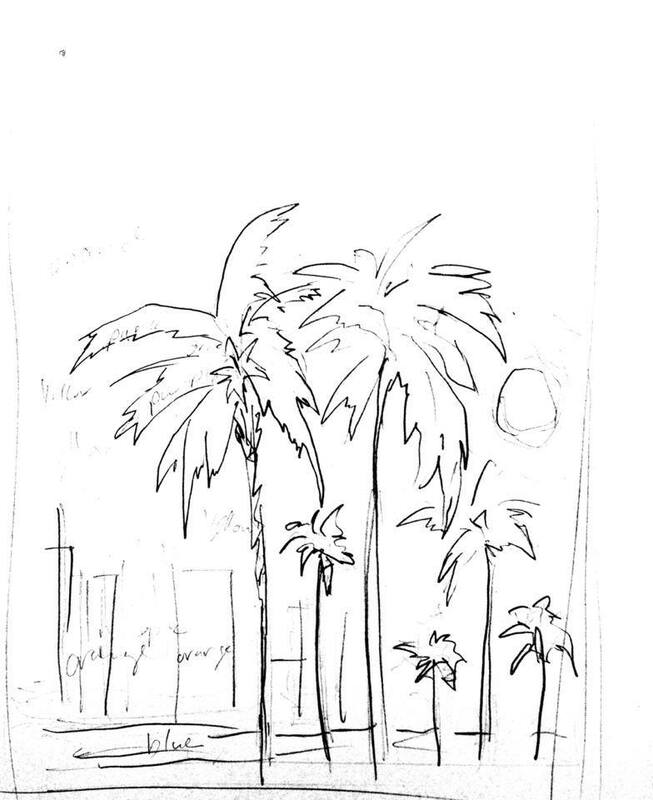 The palm trees in the focal point appear to be dancing. And I love the jewel-like trunks that hold them up. Fortunately, this painting sold the same day I posted it. The new owner will be a teacher from the US here in Al Ain, UAE. I’m so glad she loved this one as much as I do! Hi guys! Just wanted to share my new painting. Funny, this is actually my second time painting this one due to the popular demand here in Abu Dhabi. I had no idea there would be so many inquiries on the last one. This one is bigger and equally vibrant. I love painting this series. And just in time for the hot weather because yesterday was 100-degrees! Curious to see where my brush will take me next. Happy painting!